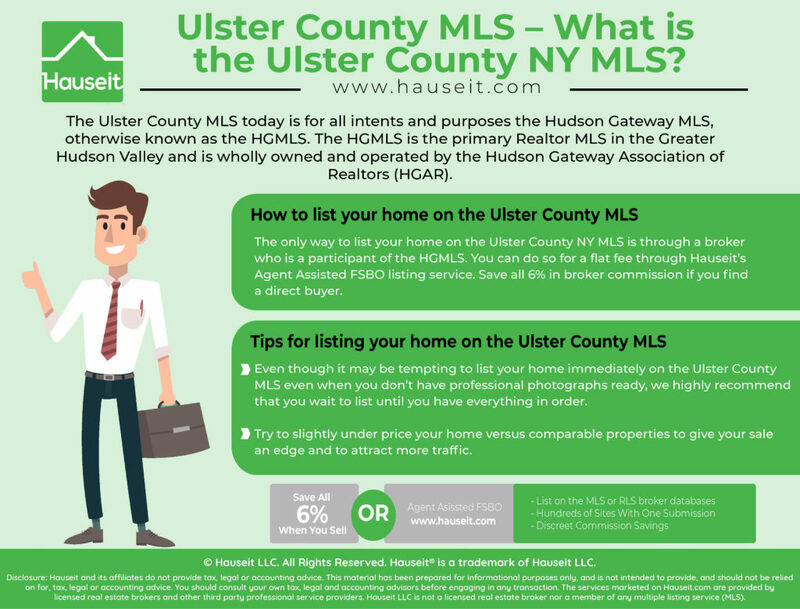 What is the Ulster County MLS? How do I sell my home For Sale By Owner in Ulster County NY? Does the Ulster County NY MLS accept flat fee listings? The Ulster County MLS today is for all intents and purposes the Hudson Gateway MLS, otherwise known as the HGMLS. The HGMLS is the primary Realtor MLS in the Greater Hudson Valley and is wholly owned and operated by the Hudson Gateway Association of Realtors (HGAR). The HGMLS has approximately 37,000 listings as of October 2017 from just over 10,000 HGAR members. As of 2017, the HGMLS receives listings from 1,370 real estate offices in Westchester, Bronx, Orange, Putnam, Queens, Dutchess, Ulster, Rockland, Sullivan and New York Counties. The HGMLS has primary jurisdiction over Westchester, Orange, Putnam and Rockland Counties which means every listing by a HGMLS participant located in those counties must be listed in the HGMLS. Even though the Ulster County Board of Realtors still exists and its members use the Hudson Valley Catskill Region MLS (accessed through a software system called Paragon), it is not clear from a cursory internet search how popular or active they are. Therefore, it’s important to understand going forward that when we reference the Ulster County MLS, we mean the HGMLS! The only way to list your home on the Ulster County NY MLS is through a broker who is a participant of the HGMLS. 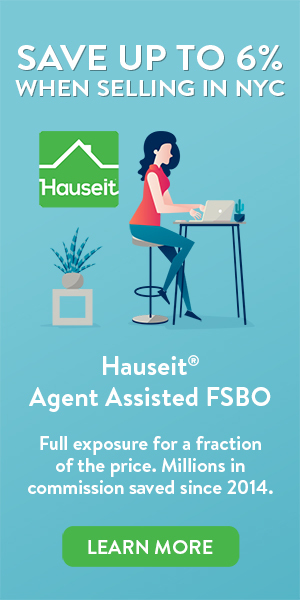 Fortunately, Hauseit has many brand name partner brokerages who are HGAR members with access to the HGMLS. You can still effectively sell your home For Sale By Owner through a flat fee Hudson Gateway MLS listing. In a flat fee MLS listing, your home is listed on your local MLS in exchange for a flat fee. You receive inquiries that result from the listing from both buyer’s Realtors and direct buyers. Upon receiving the initial inquiry, it’s up to you to respond, schedule, show and negotiate the deal. You can save all six percent in traditional broker commissions if you manage to find a direct buyer. The only time you’ll be liable to pay the commission you chose to offer in the HGMLS is if you close with a represented buyer. However, paying a buyer’s agent may well be worth it because three quarters of all buyers are represented by Realtors. Therefore, it usually makes sense to offer commission because you never know how much more a wealthy, represented international buyer might pay for your property! Note: Selling your home through a flat fee MLS listing is very different from a traditional For Sale By Owner sale process. In a flat fee MLS listing, you are choosing to engage all buyers, whether they are represented by brokers or not. In a traditional For Sale By Owner listing, the owner is rejecting all brokers and trying to find a direct buyer only. Needless to say, traditional For Sale By Owner listings are considered off market because they are only receiving the attention of a tiny fraction of the market. Furthermore, For Sale By Owner listings are boycotted by buyers’ agents and subject to frequent harassment by agents looking for new seller clients. Even though it may be tempting to list your home immediately on the Ulster County MLS even when you don’t have professional photographs ready, we highly recommend that you wait to list until you have everything in order. This is because many Realtors have their buyer clients on automatic search alerts, meaning their buyers will automatically get a notification when a new listing appears in the HGMLS that matches their criteria. As a result, you certainly don’t want your listing to be blasted out prematurely without any photos or with amateur photos you took with your cellphone! Additionally, try to slightly under price your home versus comparable properties to give your sale an edge and to attract more traffic. The market is very transparent and an attractive listing price is the best form of free advertising you can do! The worst thing you can do is to list at an overly rich price that is out of touch with the market, and your listing becomes stale as your day count creeps ever higher. It’s always better to price it right and get more traffic in the door!